Empathy vs. Sympathy: Am I Doing it Right? Many of us were raised on the golden rule: Treat others how you want to be treated. It’s an easy way to teach kids how to be kind to each other because they understand what it feels like when someone isn’t kind to them. But at some point this rule falls short. What if the person you’re interacting with doesn’t like the same things you like? Could you be making dangerous assumptions about their wants and needs? Then I realize I have a spray bottle in my tent. Perfect! I go fill it up and start wandering around my camp, spraying down my new and old friends. Then, I spray Dane in the face because I’m sure he’s going to love the sensation… I know I would love it! But Dane doesn’t love it. He just put sunscreen on and now sunscreen residue is dripping down into both of his eyes and he can’t see anything as we walk around the festival to check out the art. I inadvertently made Dane have a less good time because I treated him how I wanted to be treated and made assumptions about his desires. In this situation, I think the results would have been much better if I had called upon the platinum rule: Treat others how they want to be treated. This newer, more inclusive rule uses the deeply important act of empathy to create a more ideal experience for everyone involved. It also helps people to trust each other because it encourages fewer assumptions and more communication. Let’s dig into the secret sauce behind the platinum rule—empathy. 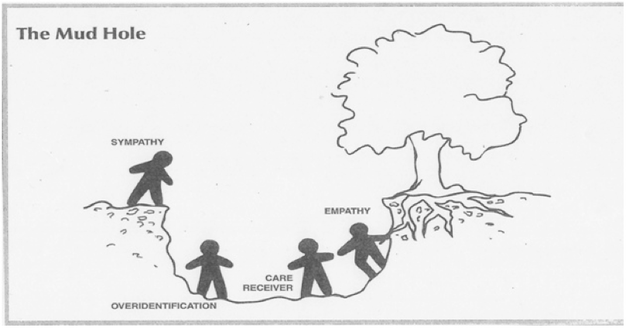 Modern dictionaries define empathy as a noun that means “the action of understanding, being aware of, being sensitive to, and vicariously experiencing the feelings, thoughts, and experience of another of either the past or present without having the feelings, thoughts, and experience fully communicated in an objectively explicit manner”. We can think of it as the ability to understand the feelings of another person by figuratively stepping into their shoes. But don’t worry, you don’t need to have the same shoe size. It’s often preferred for you to have very different shoe sizes so you can really notice the difference. This experience is most commonly described as cognitive empathy. 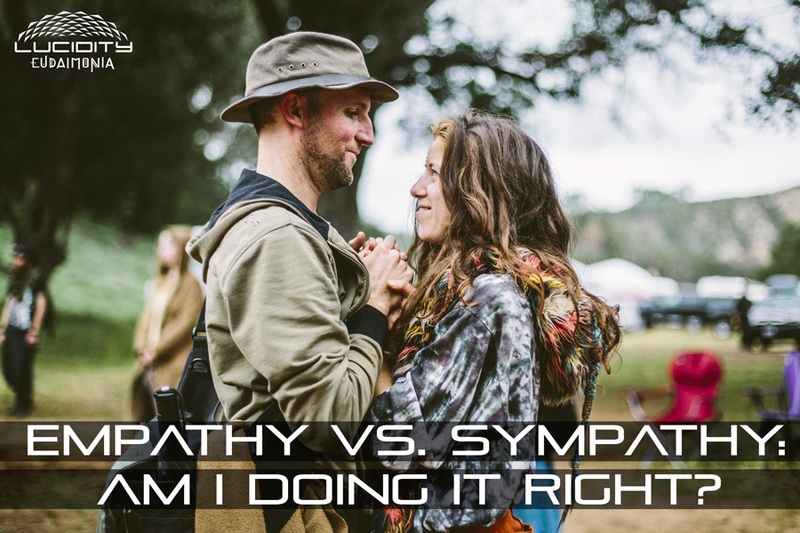 If you’re like most people, you might be wondering how this is different from sympathy. Everyone has walked down the greeting card aisle and seen the clearly labeled section of sympathy cards that are designed for many occasions, from death in the family to someone who’s going through a difficult breakup. Our natural reaction to these scenarios is to quickly help the person forget about the pain and move on. This is a great example of sympathy, defined as “ feeling compassion, sorrow, or pity for the hardships that another person encounters”. But It doesn’t always make someone feel better when we feel bad for them or try to lighten the situation. Brene Brown does an incredible job of explaining the difference between sympathy and empathy in this video, and she might even make you chuckle along the way. Empathy is a great tool for situations when you want to show someone you care but you aren’t sure what would make them feel better. It also turns out to be a super important skill for us to develop as each of our bubbles becomes larger through the growth of the internet. We have more visibility into the lives of people all over the world and we won’t always agree with the people we come into contact with. Lifestyles can vary greatly, and sometimes our differences cause a lack of trust. Allison Carmen at Psychology Today does a great job of speaking to why we should make empathy a priority in our current society. She goes on to point out that “understanding another’s point of view does not mean taking that person’s side.” It doesn’t mean that we’re conceding to their opinions and letting go of our own. It just means that we’re opening ourselves up to understanding where they’re coming from. Think of it like science: when you receive new information, you often change your hypothesis. This applies to life, too! It’s okay to change your mind about something; It’s healthy. When someone is talking, really listen. Stop thinking about how you’ll respond and just be in the moment with whoever you’re talking to. Don’t worry about how you’re going to respond. Make that person feel heard. Sometimes feeling empathy is tough when you can’t find common ground. A good way to start is by recognizing a habit or interest that you share with the person who you’re trying to empathize with. Talk about that before heading into territory where you might disagree. Remember when your mom used to take you to the mall and you would check out all the people? Do that again! Today it’s most commonly referred to as people watching, and it’s highly encouraged! 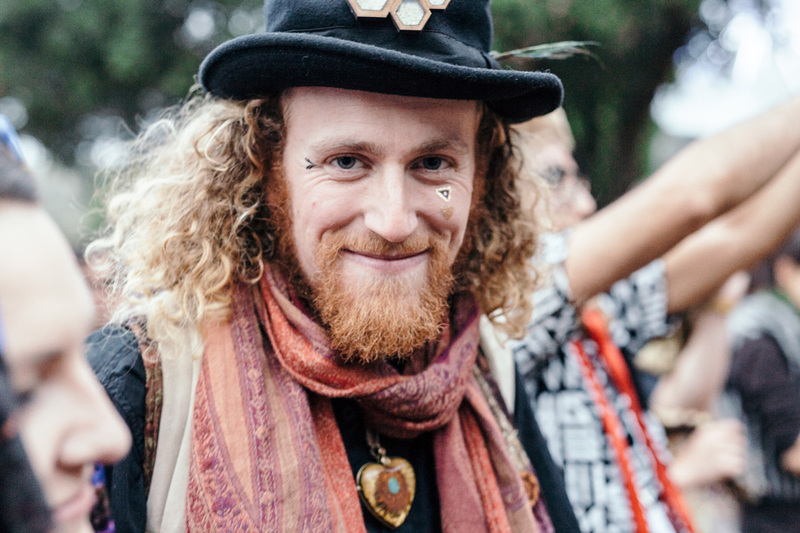 Lucidity is a great place to see a wide variety of awesome people. Think about the last person you had an argument with. Allow yourself to agree with their perspective and see how it feels. Can you understand where their feelings are coming from? Talk to someone you don’t know. 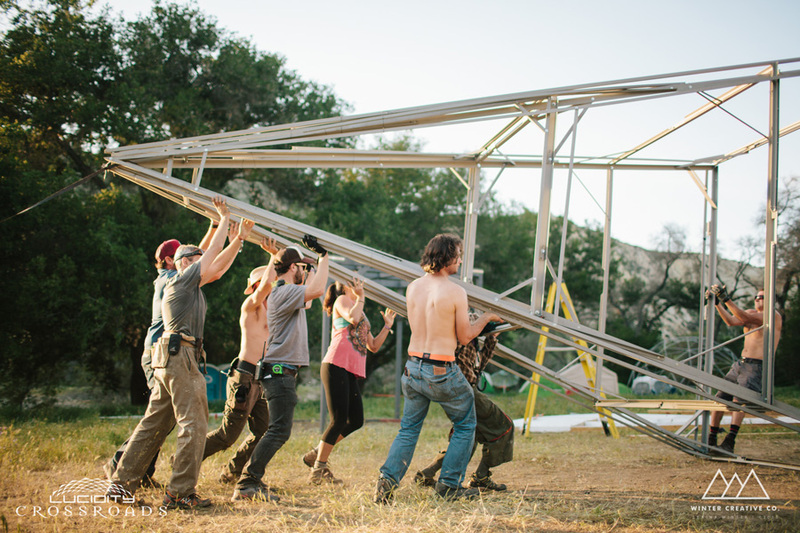 This is another great option to try out at Lucidity! Plus, you’ll probably have more in common than you think. Put a face to your fear or frustration. Did you hear about someone who committed a crime or did something you disagree with? Take a moment and try to imagine a day in their life. What do they do when they wake up? How do they get through their day?